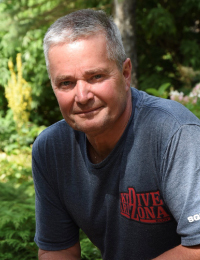 My introduction to the wonders of chiropractic began in the 1970s when as a member of Canada’s National Diving Team I spent countless hours training and competing, which resulted in numerous injuries to my neck and shoulders making life painfully unbearable. A fellow team mate and coach recommended I try chiropractic. The results were fantastic and that’s when I knew chiropractic was something I wanted to do and share for the rest of my life! My vision is a world community enjoying a happy healthy drug free life of optimal health. My mission is to help every man, woman and child reach their full health potential through the drug free chiropractic approach. Life should be a great adventurous voyage meant to be filled with energy and vitality. Let me help you along your journey! I started my professional chiropractic career in 1980 and I am extremely happy to have joined CHIROCARE Health Centre, bringing my skills and experience to an already fantastic team of professionals. I love working with families, children and the elderly, and have worked with athletes ranging from the average weekend warrior to professional sports teams and Olympic athletes. Outside of the clinic I am very active and love to spend time with my family, and two grandchildren. I have a passionate love for sailing with my wife, and I love skydiving and flying! Call our Winnipeg chiropractic office or email us here to get started today!